Dr. Catherine Cavanagh will bring her charm and wit to the conference with her presentation on hospitable school cultures. She practices her philosophy as a teacher in the Catholic District School Board of Eastern Ontario. She believes that self-care, inclusion, and solidarity at all levels of education are necessary for the development of healthy school cultures. Her focus on hospitality, imagination, and strong relationships in everyday work can help move us along the path toward wellbeing in our schools. Dr. Cavanagh holds degrees in mathematics, education, theology and ministry, and has focused her most recent studies on hospitality and diversity in school settings. Follow Huntsville Public Schools journey of creating a student-lead Healthy Active Team to promote student well-being and drive academic achievement through the adoption of Feed All Four. Discover why slowing down, taking charge of your attention, and minimizing distraction will lead to a happier, healthier and less stressed mind and body. Discover new-found techniques to help build a stronger sense of self for both you and your students. Hone your mind to integrate, navigate and disengage in an effort to reboot holistically. Press pause to restore, reclaim and reignite. Teaching pre-service teachers about mental health and well-being can build a foundation for promoting healthy schools and workplaces. We will share and discuss ideas, resources and evaluation results from a mandatory course on the topic of mental health literacy. Assumption College School in Brantford, Ontario, has worked to develop a culture of caring throughout their community, in order to promote student well-being and support student achievement. Embedded with evidence-informed strategies and take-away resources, the presentation will seek to empower other schools to see the potential within their buildings to foster mentally healthy schools. This presentation reviews a newly developed toolkit, aligned with the Foundations for a Healthy School, to reduce substance use among youth. Interactive resources and strategies will be shared. 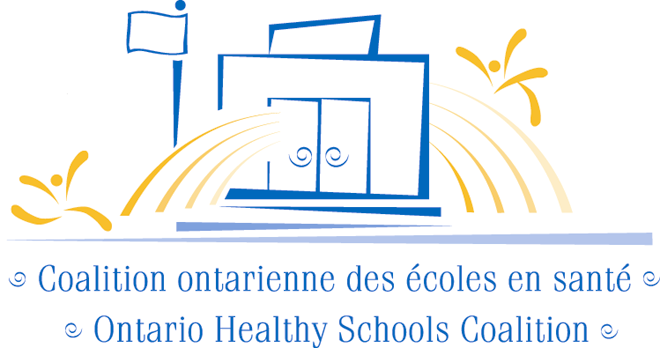 This presentation will: share current research regarding Healthy Schools; discuss successes and opportunities for promoting Healthy Schools in Ontario; and provide practical strategies for applying the research concepts within schools. Data collected through collaborative inquiry, conversations, and observations across Niagara Catholic District School Board have evidenced a need for social-emotional learning (SEL) to target deficits of students in the areas of self-regulation, executive function, and well-being. This workshop will provide information about the implementation of various resources, and programs to support SEL. Participants will also engage in activities that support mindfulness practices. The Can You Feel It? (CYFI?) workshop was designed by youth for youth to raise awareness of stress and healthy coping strategies for school-aged children and teens (Adapted with permission by Public Health Sudbury and Districts). An overview of the CYFI? workshop will be provided and participants will receive information on how to access the facilitator guides and resources necessary to run and teach the workshop on their own. An overview of the evaluation of the workshop will also be highlighted to emphasize the evidence and success of using this workshop. This session will share the methodology and results of a study on teachers’ beliefs and behaviours related to using low nutritional value foods in the classroom for student rewards and celebrations. Come and experience mindfulness practices, and reflections. We will discuss partnerships with French and English school boards to implement a whole-school approach to mindfulness that fosters student and staff well-being. ​In light of recent announcements related to public health and education, and because of the late date, the OHSC regrets that no refunds for this year’s Conference (except for those at the discretion of the OHSC) will be made after April 16th, 2019 at 4:30 p.m.
Financial commitments have already been made and paid towards planning of this year’s event. Learn about the leading research and strategies on: the ABC’s of physical movement; how physical literacy can develop self-esteem; and the importance of physical activity for all. Learn about the JCSH’s work in building capacity in the health and education sectors to work together more effectively and efficiently; and to promote understanding of, and support for, the concept and benefits of comprehensive school health initiatives. A Recipe for Life-Long Learning! ​In this active workshop, participants will learn how to use engaging ‘exercise in disguise’ activities to promote academic readiness, support staff and student wellness, build resilience, and provide differentiated instruction for each child, regardless of athletic proficiency. Learn about how moving more each day helps strengthen the foundation for life-long learning. Wellness for All. If you want strategies to manage stress in yourself and for your students to build resiliency for life, this workshop is for you. Featuring: Kids Have Stress Too!, Stress Lessons and Staying on Top of Your Game, these are practical evidence-based curriculum-linked programs for students and staff. Reflections will be shared from Health Units using these programs with students and parents, and will inspire you to implement them in your own setting. The Hamilton School-Based Health Network comprises strategic partnerships amongst key community agencies: District School Boards, Hamilton Family Health Team, Good Shepherd, REFUGE - Hamilton Centre for Newcomer Health, and Public Health. Learn how community partners, across sectors and legislation, effectively work to deliver and facilitate primary care and mental health services in two of Hamilton’s highest-needs high schools. The role of the nurse practitioner is key in navigating youth to mainstream services. Relationships First will explore how adults, community stakeholders and partners can use the youth engagement process to build and sustain relationships, which ultimately empowers youth to explore how they can make a difference in their community. We will primarily focus on elementary school age youth, but the principles also apply to high school students. Five schools collaborated with public health nurses to plan a community-wide approach using Developmental Assets® as a guiding framework. The project aimed to build grit and resilience among students. The PHNs provided support, incorporating comprehensive school health best practices. Successes, challenges and key learnings impacting sustainability will also be shared. The correlation between poverty and poor health outcomes is well established. Bridges Out of Poverty helps professionals working in all community sectors to examine the culture of poverty and how to build relationships that create a sustainable community. This workshop examines Bridges as a relationship building strategy to provide a deeper understanding of the challenges and strengths that individuals and families from poverty experience. Learn about THRIVE, a program aimed at helping staff and students develop habits and practices that foster well-being and mental health. In​ ​2015,​ ​Lakefield​ ​College​ ​School​ ​embarked​ ​on​ ​THRIVE,​ ​a​ ​school-wide​ ​program​ ​that​ ​promotes​ ​physical well-being​ ​and​ ​positive​ ​psychology​ ​practices. Deciding on a​ ​strategy​ ​for​ ​implementing​ ​a​ ​well-being​ ​program​ ​at​ ​any​ ​school​ ​is​ ​key.​ ​This​ ​workshop​ ​demonstrates​ ​the positive​ ​outcomes​ ​experienced​ ​by​ ​Lakefield​ ​College​ ​School​ ​when​ ​they​ ​made​ ​the​ ​choice​ ​to​ ​implement​ ​a one-year​ ​well-being​ ​program​ ​for​ ​their​ ​staff​ ​prior​ ​to​ ​launching​ ​a​ ​student​ ​well-being​ ​initiative. Kindness is Contagious: Public Health and Schools Together! What is Social and Emotional Learning and Does it Work? .Build Our Kids’ Success (BOKS) is a free morning physical activity program designed to get children moving before school. Reebok Canada has partnered with the Canadian Football League over five years to scale up BOKS across Canada. Presenters will share implementation and impacts with opportunity for discussion and debate. With 80 per cent of learning being visual, this presentation will explain how comprehensive eye exams play an important role in unlocking a student’s potential to succeed in the classroom. Additionally, attendees will learn how comprehensive eye exams go beyond vision screenings and sight tests since these exams detect subtle eye health problems that may be hindering a child’s ability to learn. The information provided to users in the pages of the OHSC website are for informational purposes only. Users should not rely on information on this website for any purpose other than for gaining general knowledge of healthy schools.